Your individual training plan. High intensity workouts. Adapted to you and your goals. WHY IS INDIVIDUALISED TRAINING IMPORTANT? There is no doubt that having clear goals helps you to succeed. Being able to quantify success often makes it easier to continue driving forward and track your own progress as you improve. In a sport where ‘routine is the enemy’, and no two training sessions are exactly the same, is it then possible to have both? Are clearly defined goals (with structured plans to achieve them) and constantly varied and exciting workouts compatible? The simple answer is yes. Of course they are. Look at any high level athlete and they will do specialised strength / endurance / technique / gymnastic sessions, week in week out, with some of the best trainers and professionals in those fields. Unfortunately, not many of us have the luxury, time or money to train three times a day with the best coaches and facilities in the world. So how can we simulate this individualised, professional approach? How can you really push your training forward? 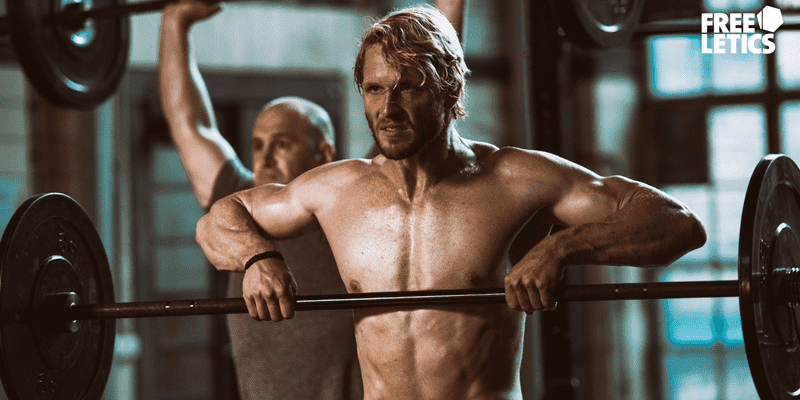 HOW DOES THE FREELETICS GYM APP WORK? Say, for example, that you train two or three times a week in the Box. You could also add a couple of extra sessions where you incorporate a more individualised training program with Freeletics. This combination will give you the best of both worlds. Here you can target your specific goals, such as that 200kg Deadlift or first Pull Up or new Squat PR that you really want to achieve. Freeletics is physically demanding, and if you do want to combine the Gym App with Crossfit training, make sure that you do not overload yourself. Avoiding injury is vital for success, so build up volume gradually over time. This will allow your body to adapt properly. The Freeletics Gym coach will assess your current ability, strength, endurance and fitness levels based on what you can already do, and will then adjust your workouts accordingly. Ok, so how does this work in practice? Referring to that first goal, say you want to achieve a 200kg Deadlift (scale the weight or exercise accordingly to fit your ambitions). Ask any powerlifter or strength and conditioning professional and they will make it very simple. 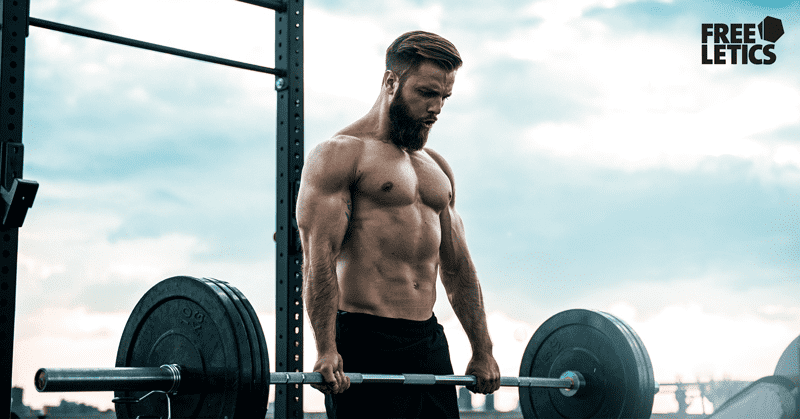 If you want to hit that target you will need to build up strength gradually over time by working through progressively heavier sets and cycles of Deadlifts. If you have no individualised programming when you train with a class in the Box, then the general progression will be tailored to the needs of the many. What happens if your coach leans more towards endurance work and long, mentally taxing Metcons? You will undoubtedly get fitter, but you won’t get a whole lot closer to that 200kg. The same is true for your strength/technique sessions. If you train two to three times a week and one week involves Overhead Squats, Ring Muscle Ups and Power Snatches for each individual session, then you WILL get stronger and technically improve in those exercises, but you WILL NOT improve your Deadlift numbers in the same way that you would with two to three sessions that specifically train this exercise. If you add these specially programmed sessions on top of your work in the organised classes in the Box, then you will see how this creates a formidable combination. Simply substitute the Deadlift with any other goal that you want to achieve. Whether you are keen to build muscle, cut body fat, hit a new max number of Pull Ups, build cardiovascular ability or to look and feel better, Freeletics Gym can help you to achieve this in alignment with your Crossfit training. Freeletics Gym also has built-in Conditioning workouts that range from targeting your lower body, upper body, full body and core. These help to add new challenges and can act as milestones that will help you to measure your performances and progress. Every workout you do will yield a certain amount of points , and so by training you will accumulate more and more points. This becomes a fun and surprisingly motivating way to train, and the Freeletics Gym app also includes many additional exercises that you can complete sets of in order to earn more points. Another handy motivational tool is the total kg lifted score. 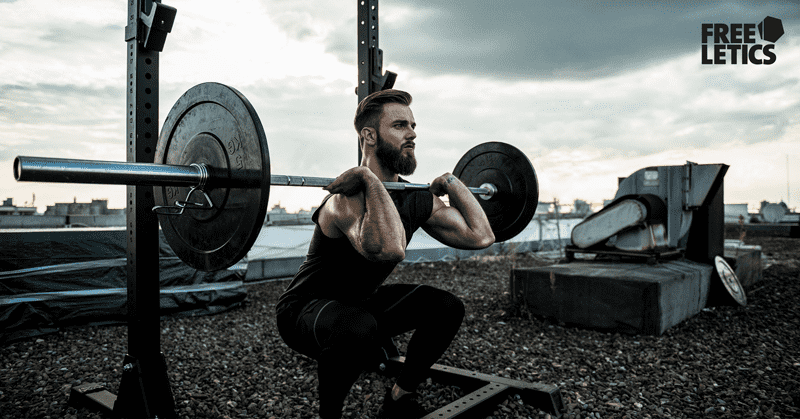 This quantifies all the iron that you have shifted during your entire Freeletics training and is an incredibly effective way of motivating you to continue. Freeletics also have a nutrition app. You can use this in combination with your Gym App and tailor your exact nutritional needs to fit the frequency and intensity of your training, all in alignment with your specific goals. The Nutrition app also has a coach option that will help you to get the exact portions of protein, minerals, complex carbohydrates and fats that you need to support your training and help you to achieve the goals that you are aiming for. A quick assessment before you start will help the coach to determine your current eating habits, lifestyle and experience. From there you simply select your focus from the following options and begin training hard and eating clean. You log your meals as you make them and even eating out can be catered for as well. To account for physical activity, you can also add post-workout snacks and shakes, tailored to the amount and type of your training. What is great about Crossfit, is the way that it incorporates all forms of exercise. It is deliberately unspecified in order to improve overall fitness. We are all different and everyone has slightly different goals. When you combine that kind of training with Freeletics, you can enjoy both constant variety and individualised programs with specific goals on your own terms. A coach in a Box cannot program an everyday class to exactly fit the needs and goals of ten different people. So why not combine the two and get the best of both worlds? Every process is a journey in itself and you are just one step away from your own success story. Take it.